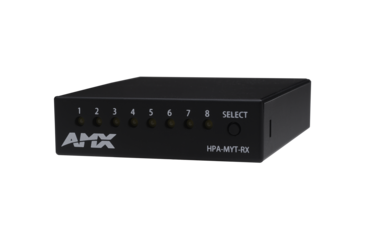 The HPA-MYT-RXMyTurn™ MyTurn Source Selector Receiver works with the MyTurn Source Selector Button to enable a simple solution for users to send their device's content to the display during a meeting or classroom session. 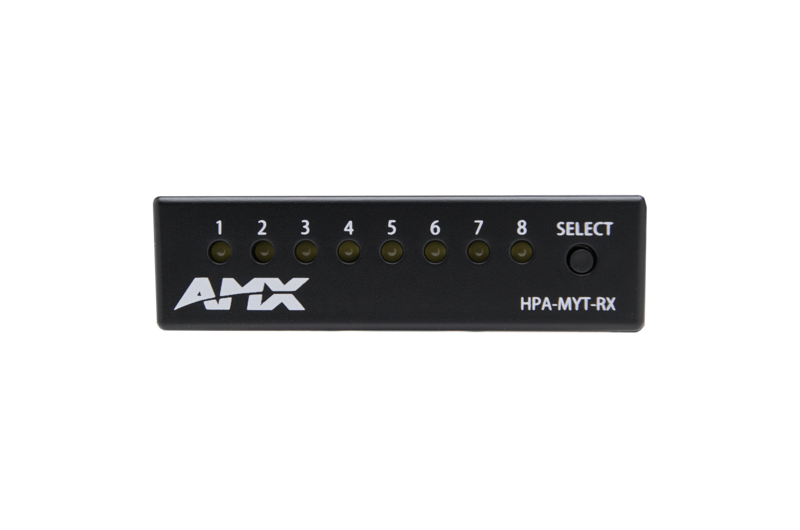 The HPA-MYT-RX plugs into an I/O port on an AMX Solecis SDX Digital Switcher or other AMX control device to receive the signal when a MyTurn Source Selector Button is pressed. When used with the Solecis SDX, MyTurn provides a simple switching solution that can be implemented with no programming. MyTurn is simply the easiest way to switch among devices during a meeting or class.